On Friday, April 22, 2016, The Innevation Center is hosting their April CommunityCation Luncheon from 11:30am-1:00pm. 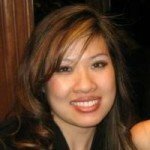 This month, this community event will feature My-Ngoc Nguyen of Secured IT Solutions. Don’t miss this free event! Register here.